View our range of single car garages which are perfect for housing your car, or create the perfect solution to your storage needs. Single garages are available in a range of sizes and have one roller door as standard and come at a height of 2400. A range of optional extras are available including additional height and features. 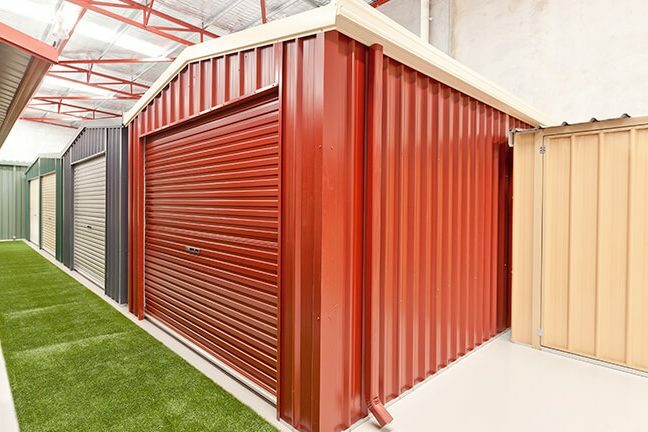 Single garages are available in both ZINCALUME® and COLORBOND® finishes with either a flat or gable roof design. All garage units come standard at 2400 high, but are available as an optional extra at 2700 and 3000 heights.